According to an African parable, when morning dawns in Africa the gazelle know that it must run faster than a cheetah or be killed. The cheetah knows it must run faster than the slowest gazelle or it is going to starve. The moral of this story is that whether you are a gazelle or a cheetah, you had better be ready to run when the sun rises. 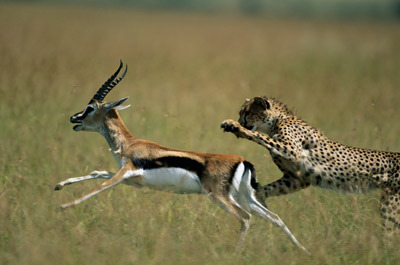 How would your life be different if your life was characterized by the determination exhibited by the gazelle or a cheetah? Keep your eyes on Jesus, and run the race He has set before you.